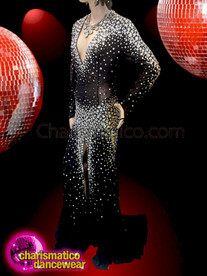 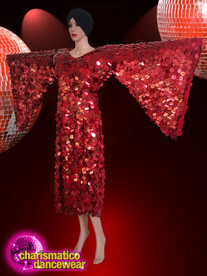 Drag queens often wear stunning clothes to make himself more presentable. 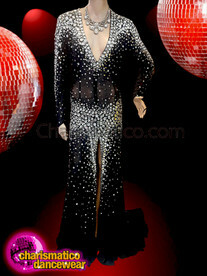 This black and silver gown is beautiful and sober at the same time. 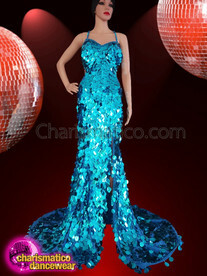 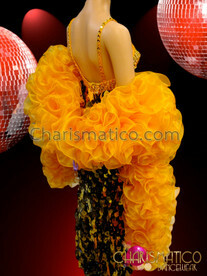 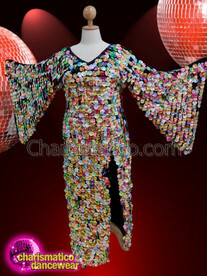 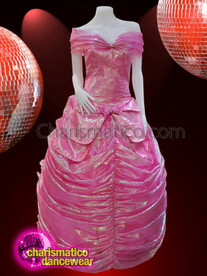 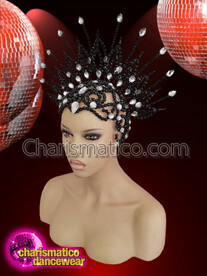 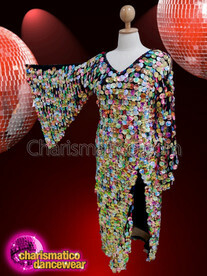 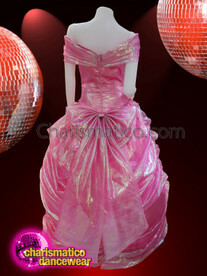 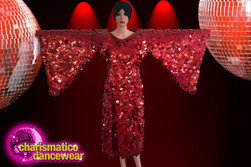 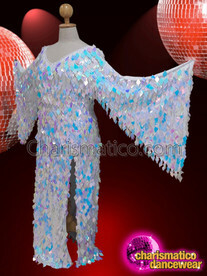 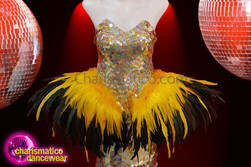 It is covered with diamond shaped silver sequin all over and has extra big wing sleeves. 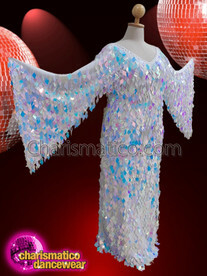 The gown also has a huge slit in the middle making it look sexier.